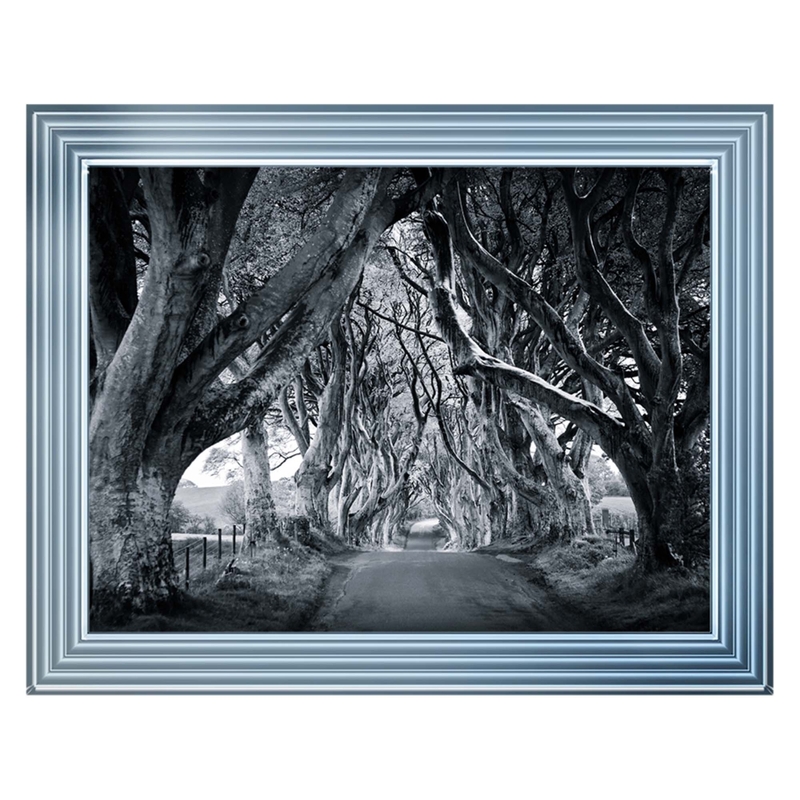 Add some colour to your existing home interior with this amazing Chrome Lyon Black & White Dark Hedges Wall Art. With a chrome coloured frame that will simmer perfectly in the light, it will illuminate a modern feel throughout your home with ease. Handcrafted to the highest quality it will last a lifetime and become a focal point in your home.